"American Assassin" brings the character created by author Vince Flynn to the big screen, in what filmmakers hope will be the first of a series. Series hero Mitch Rapp vows to fight terrorism when the woman he loves dies during a vicious attack. Actor Dylan O'Brien may not fulfill the vision readers have of the character. He's a small, wiry guy, who darts around scowling and not saying much. Brutally trained by grizzled vet Michael Keaton, O'Brien joins the team hunting down a mad bomber. The grand finale goes for the usual countdown clock, ticking off the seconds before disaster. 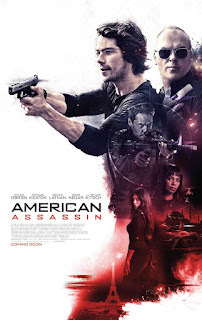 "American Assassin" isn't exactly a disaster, but it lacks the spark to stand out from other, better movies. The film looks muddy. The dialog isn't very good, and the action sequences feel like the same old thing. Vince Flynn fans will best stay home and re-read his books. "American Assassin," 1 star, rated "R." Does it deliver what it promises? Uninspired action movie. Is it entertaining? Nothing new here. Is it worth the price of admission? Not really.